Alarming system in pharmaceutical equipments is mandatory to notify the equipment malfunction or any critical change in environmental condition. 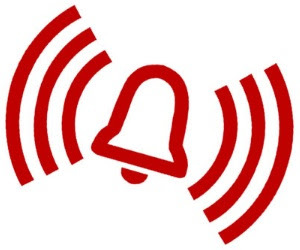 The general function of an alarm is to warn about any critical condition as a life-threatening danger or any critical environmental condition like building fire alarm etc. But in the pharmaceutical manufacturing facility, the requirement of audible alarm in critical equipment has its great importance because the change in temperature can affect the pharmaceutical product quality or it can alter the analysis results. In pharmaceutical equipment like stability chambers, incubators, refrigerators, low-temperature storage, alarms are used to indicate the equipment malfunction and abnormal temperature conditions such as failure of the motor or network communication in a stability chamber. An alarm in equipment can warn about the failure of equipment, unsafe environmental conditions or any process out of tolerance limits. Since last few years, regulatory authorities are also observing the alarming system of the critical equipment. This makes it's more important in a pharmaceutical manufacturing environment. FDA has issued different 483s and warning letters due to lack of the alarms. An equipment alarm system should alert the responsible person and engineering by messaging during the non-working hours or weekends to ensure the rectification of the breakdown quickly. A risk assessment should be done for the criticality of the alarm depending upon its effect on product quality. Failure of each alarm should be assessed for GMP criticality individually. GMP criticality 1 – contains the alarms that failure has a direct impact on the product quality, 2 – alarms those failure has an impact on process or system but not directly on product quality while 3 – where alarm failure has no impact on product or system. In current regulatory environment pharmaceutical companies should include the requirements of the alarming system in their user requirement specification of the critical instruments to fulfill the cGMP requirements of the FDA and other regulatory agencies.